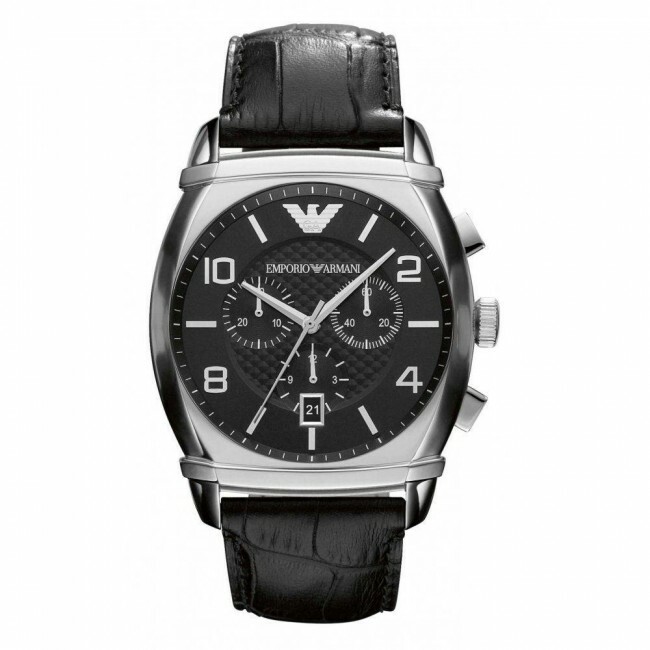 This great looking Armani watch features a black textured dial with chronograph and date. 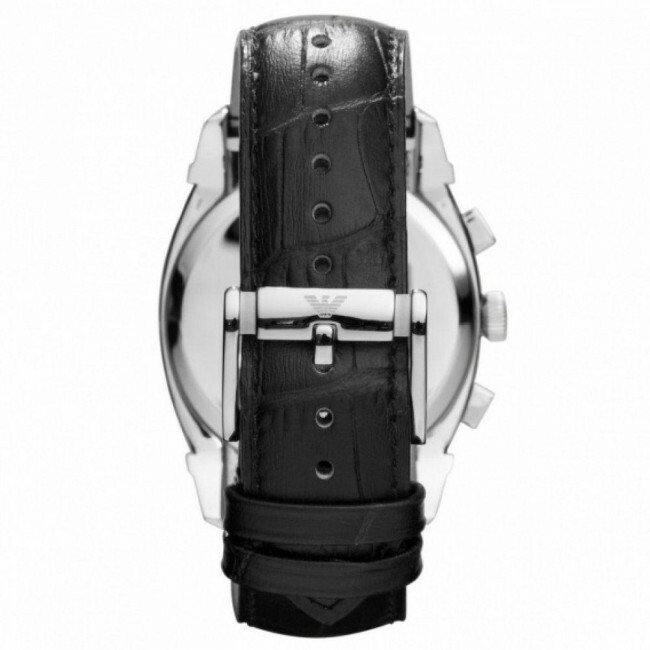 A black croco-embossed leather strap completes the look. This great looking Armani watch features a black textured dial with chronograph and date. 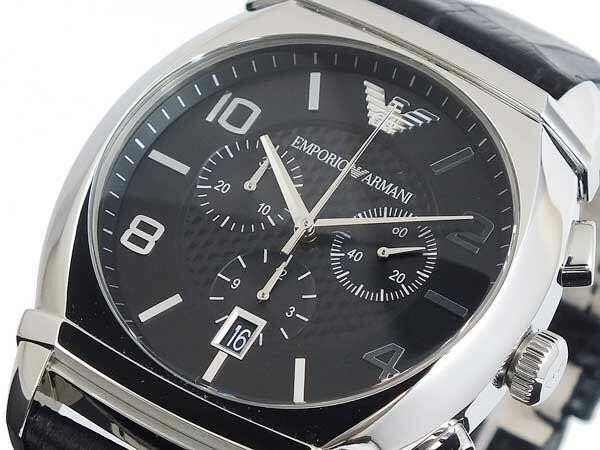 A black croco-embossed strap completes the look.